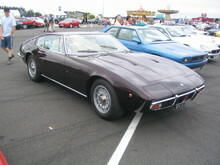 The Ghibli made its first appearance in 1966 and instantly became one of the worlds fastest production cars. 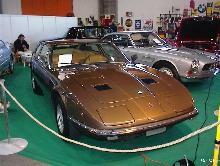 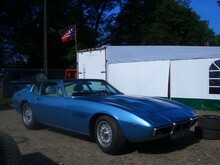 The Ghibli was aimed at the Ferrari Daytona market and was powered by a quad-cam 4719cc V8 engine. 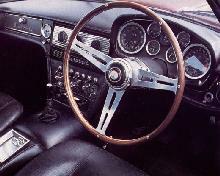 From 1970 a 4.9 litre "SS" version became available which was even more powerful and could be specified with automatic transmission. 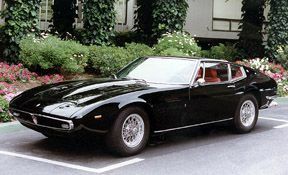 The striking Ghibli body was created by Italian stylists Ghia and featured pop-up headlamps and the distinctive Maserati front grille. 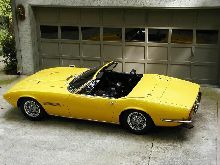 Although the Coupe measured over 180 inches in length it was only intended to be a two seater, perhaps adding to its excessive nature. 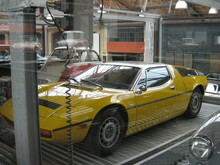 Production of the Ghibli continued until 1973.